Law Offices of Marina Shepelsky, P.C. 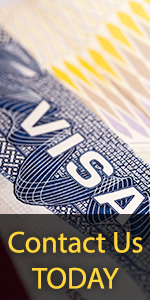 focuses on the area of U.S. Immigration and Naturalization Law and has clients across the United States . In addition to serving U.S. clients in the Tri-State Area (New York, New Jersey and Pennsylvania), Connecticut and nationwide, we help people with immigration needs in international locales, including Mexico, Iran, India, Palestine, Pakistan, China (and other Asian countries), Latin America, Africa, Europe, and the Middle East. Marina Shepelsky, Esq. has a background in immigration law and has been practicing since 2002. Her goal is to use the latest developments in immigration law in combination with well-established legal precedent to ensure successful outcome in all her clients' cases. The sole focus of Law Offices of Marina Shepelsky, P.C. is on immigration and naturalization law. Ms. Shepelsky has assisted hundreds of clients and has won a majority of the immigration and naturalization cases she has represented in court. The U.S. immigration legal system is complex and multi-faceted. It is imperative to have the help of an expert to navigate its murky waters. We understand your frustrations and needs. Our legal services are personalized to each and every client. We use all available tools and our extensive knowledge of the law and the most recent immigration updates to maximize your chances for success. We take the time to explain your options and then develop a strategy for success. Every detail in a case is examined to see how it may best help you in your legal matter. Solutions to these problems are explored to make sure that every possible avenue has been considered and you can obtain the results you need. We create a step-by-step plan for each case and make sure you understand both the big picture and the minute details. The attorneys at LAW OFFICES OF MARINA SHEPELSKY, P.C. will work hard to help you resolve your immigration legal issues in the most efficient manner possible so that you can build a new life for yourself and your family in America . Call us today for a free consultation and an in-depth evaluation of your case at (718) 769-6352. Evening and weekend appointments are available both by telephone and in our office!